While many businesses struggled during the recession, Ramsbottom Kitchen Company Limited remained busy. However, owner Tracey Peace had been concerned for some time that its IT systems were not running optimally and that this was affecting productivity. So she approached Smarter Technologies, with which she had worked for many years, to recommend software upgrades that could be quickly implemented with minimum disruption to the business. John Miller, director of Smarter Technologies, recommended a software and memory upgrade to the latest versions of Microsoft Windows and Microsoft Office. Ramsbottom Kitchen Company Ltd’s previous version was Windows XP and Microsoft Office 2003, which were both no longer fully supported by Microsoft and were increasingly slow. It was important to the company that the software upgrade was compatible with the kitchen design software ArtiCAD and EasyQuote, fundamental kitchen design tools. To ensure that the latest version of Windows was suitable John contacted the developers of the software before proceeding. John also recommended upgrading the Microsoft Business Contact Manager at the same time to save money on Smarter Technologies’s services and reduce future interruption. The alternative to upgrading the software was to purchase new computers and software, which would have been very expensive and would have taken longer to implement. 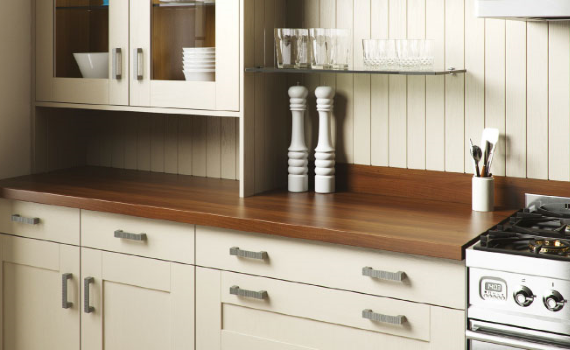 By upgrading, Ramsbottom Kitchen Company Ltd was able to avoid prolonged disruption to the business and costs of additional extensive training. It was also able to keep all its data in the same formats, including those in Business Contact Manager on which it relies heavily to log repairs. The upgrade took advantage of the company’s Microsoft Volume Licence which made the process cheaper than buying the products off the shelf. The change has improved productivity significantly through innovative features such as the split screen function and Smarter Technologies is providing informal, quick in-house training during monthly visits to allow Ramsbottom Kitchen Company Ltd to fully utilise helpful features for the benefit of the business. Anywhere access - work from virtually anywhere with access to your latest documents and files using familiar Office applications, optimized for use across PCs, smartphones, and tablets. Working Together - easily work together with your colleagues using your familiar Office applications with business email, shared calendar, document sharing, and high definition video conferencing. Look professional - highly secure business email and external websites present your company’s professional image to customers. New features in Excel and PowerPoint allow you to easily analyse your data and hold effective presentations. Save and share files in the cloud - The cloud is like file storage in the sky. You can get to it anytime you’re online. Now it’s easy to save your Office files to your own OneDrive or your organisation’s site. From there you can access and share your Word documents, Excel spreadsheets, and other Office files. You can even work together with your colleagues on the same file at the same time.